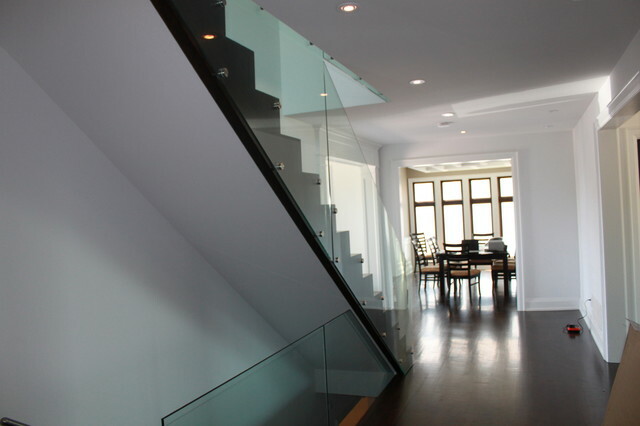 Kleinburg Contemporary + Classic - Contemporary - Staircase - Toronto - by Geometra Design Ltd.
Main staircase with glass railing to maximize sight lines. Stairs were designed to be one of the main features of the living space on the main floor. Custom 1761 sq ft 2 Storey Show Home - Harmony Builders Ltd.